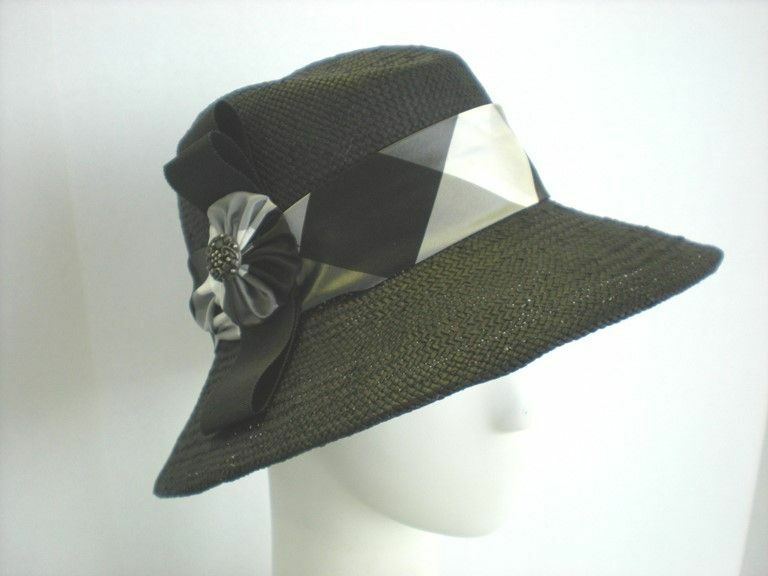 This versatile fedora is hand blocked on vintage hat blocks. It is embellished with a pretty large-scale black and white checked band, grosgrain ribbon bow, rosette and button. Can be made with other colors and trimmings.